The first concert will include Mozart's "Piano Concerto No. 24 in C Minor, K. 491", with Mikhail Pletnev as piano soloist, and the second concert will feature trumpet soloist Sergei Nakariakov performing Arutiunian's "Trumpet Concerto." The Russian National Orchestra led by Mikhail Pletnev will hold two concerts in Hong Kong in late-June, the city’s administration said this week. According to the press note, the first concert will be held on June 24 at the Concert Hall of the Hong Kong Cultural Centre. The programme will include Mozart's "Piano Concerto No. 24 in C Minor, K. 491", with Pletnev as piano soloist, and Tchaikovsky's "Symphony No. 5 in E Minor, Op. 64" conducted by Pletnev. The second concert will feature trumpet soloist Sergei Nakariakov performing Arutiunian's "Trumpet Concerto." Under the baton of Pletnev, the orchestra will perform Glinka's "Overture to Ruslan and Lyudmila" and Rachmaninov's "Symphony No. 2 in E Minor, Op. 27." 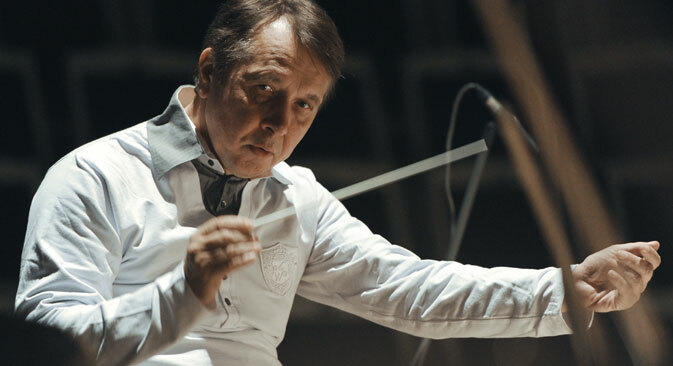 The Russian National Orchestra (RNO) premiered in Moscow in 1990 and was founded by pianist Pletnev. According to the Hong Kong administration press note, it is unique among the principal Russian ensembles as a private institution initially funded with the support of individuals, corporations and foundations in Russia and throughout the world. In recognition of its artistry and path-breaking structure, the RNO was the first non-governmental orchestra to receive grant support from the Russian Government. Pletnev’s musicianship encompasses a dazzling technical power and provocative emotional range, and displays a searching interpretation that fuses instinct with intellect. “At the keyboard and podium alike, Pletnev is recognised as one of the finest artists of our time,” the Hong Kong administration press note said. Pletnev describes the RNO as his greatest joy and today serves as its artistic director and conductor. Sergey Nakariakov, who will perform in the second concert, has appeared in the Hollywood Bowl in Los Angeles, the Lincoln Centre in New York and the Royal Festival Hall and the Royal Albert Hall in London and has given concerts in numerous music festivals. He has also collaborated with feted musicians, orchestras and conductors, including Vladimir Ashkenazy, Martha Argerich, the BBC Symphony Orchestra, the Philharmonia Orchestra and the Academy of St Martin in the Fields. The concerts are part of the programmes in the Hong Kong Leisure and Cultural Services Department "Great Music 2015" series.